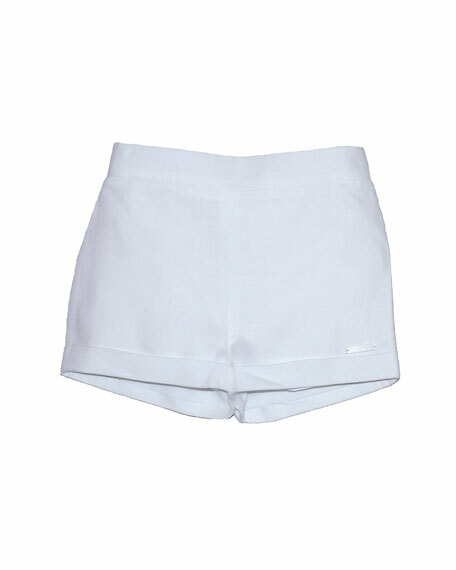 Pili Carrera linen mid-rise shorts. For in-store inquiries, use sku #2448742. Brunello Cucinelli Bermuda shorts with custom stitching design. Side slip and utility pockets; back flap pockets. Hem ends at knee. Button/zip fly; belt loops. Linen/cotton. Made in Italy. florabella "Aquila" embroidered beach shorts. Side slip pockets. Rise sits below the natural waist. Relaxed legs. Self-tie waist. 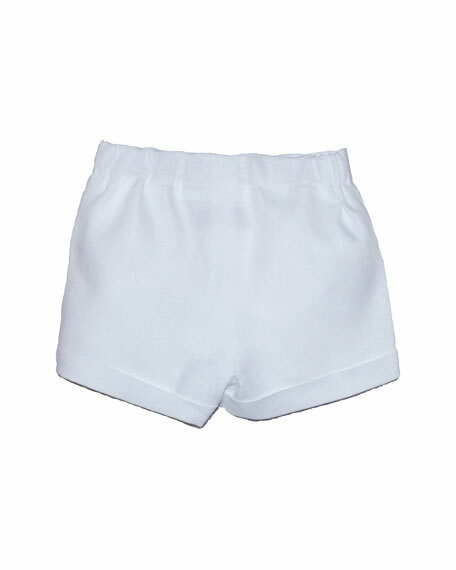 Elastic back waist; pull-on style. Cotton lawn. Imported. Exclusively ours. 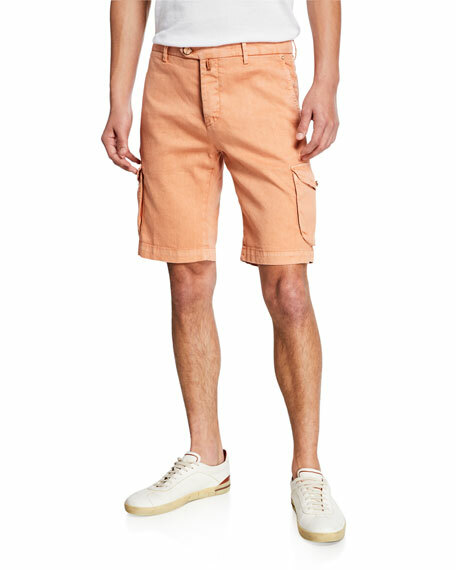 Kiton cargo shorts in flaxen stretch twill. Side slip and button-flap pockets; back welt pockets. Mid rise. Regular fit. Tab/zip front; belt loops. Linen/cotton/spandex. Dry clean. Made in Italy. 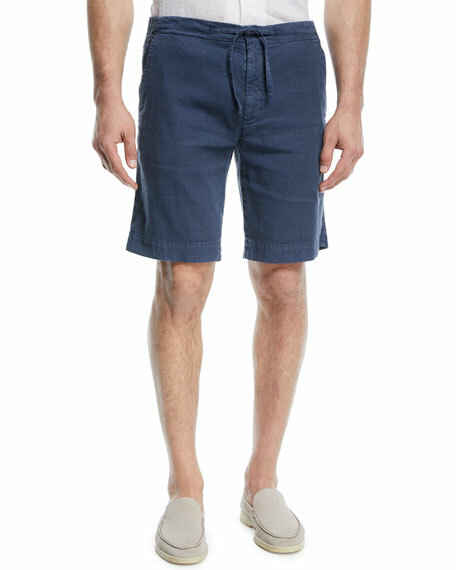 Loro Piana Bermuda-style shorts in linen-blend chambray. Side slip pockets; back button patch pockets. Notched at back waist. Straight-leg fit. Knee length. Button/zip fly; drawstring. Linen/cotton/spandex. Made in Italy.